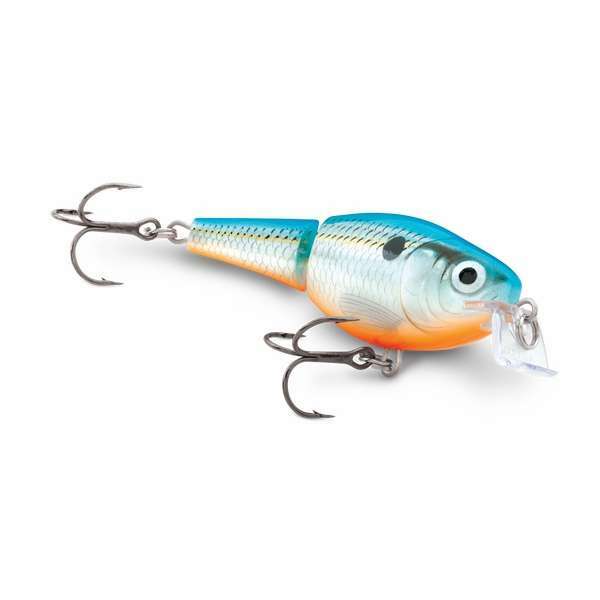 The slightly exaggerated rattlin' and suspending action of the Jointed Shad Rap, now with a shallow diving lip. 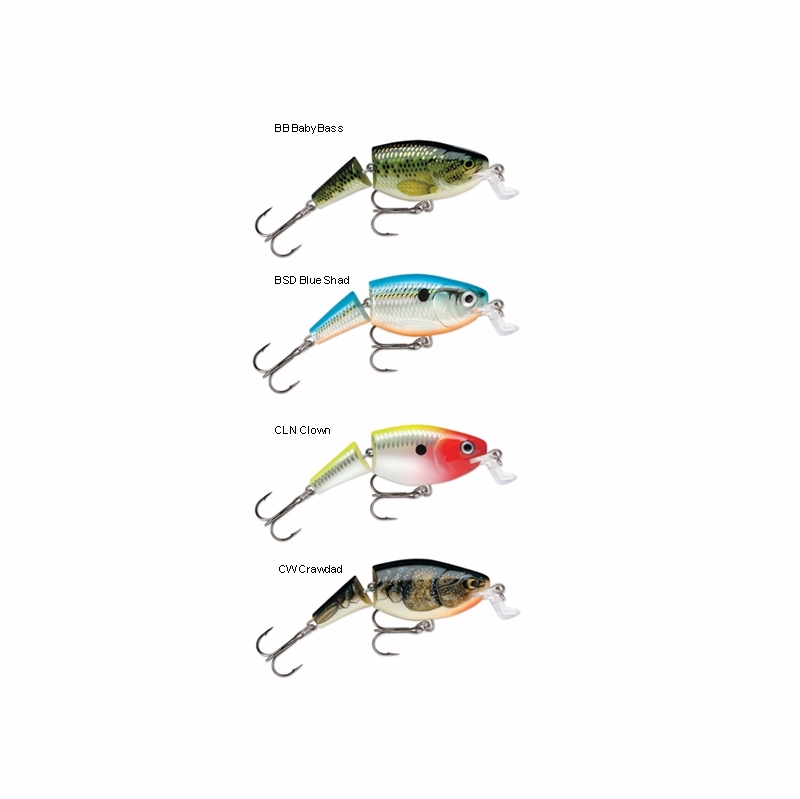 The near the surface, struggling action perfectly imitates a baitfish in distress. 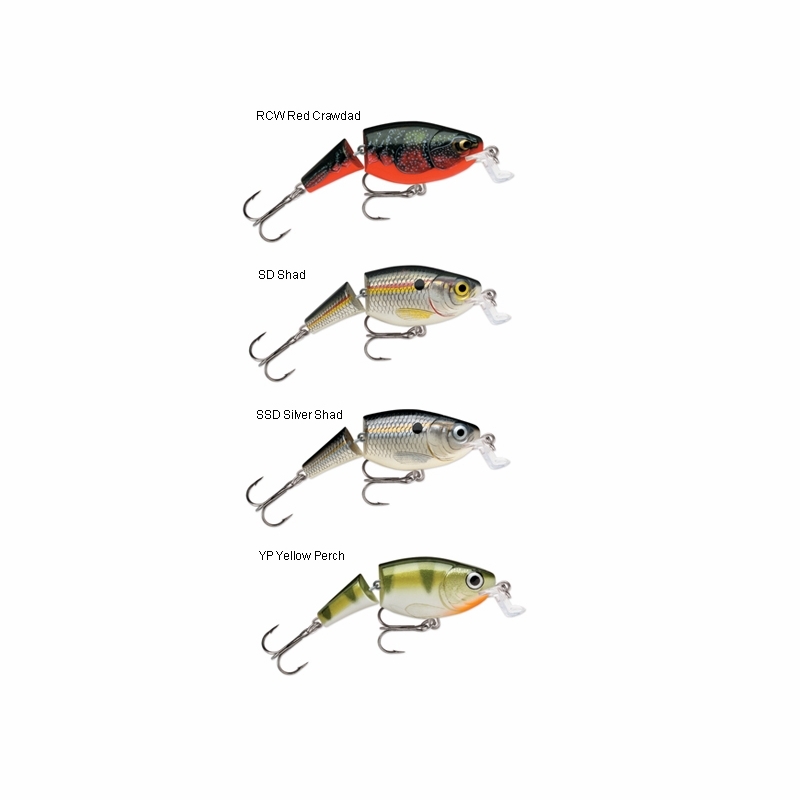 Even at the slowest of speeds the jointed body looks and vibrates like a wounded baitfish. Multi-species appeal. 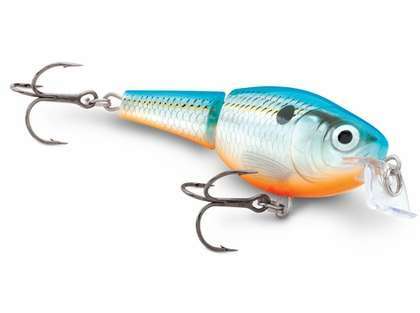 fantastic, colours are vibrant and solid hooks, rapala always never dissapoints. 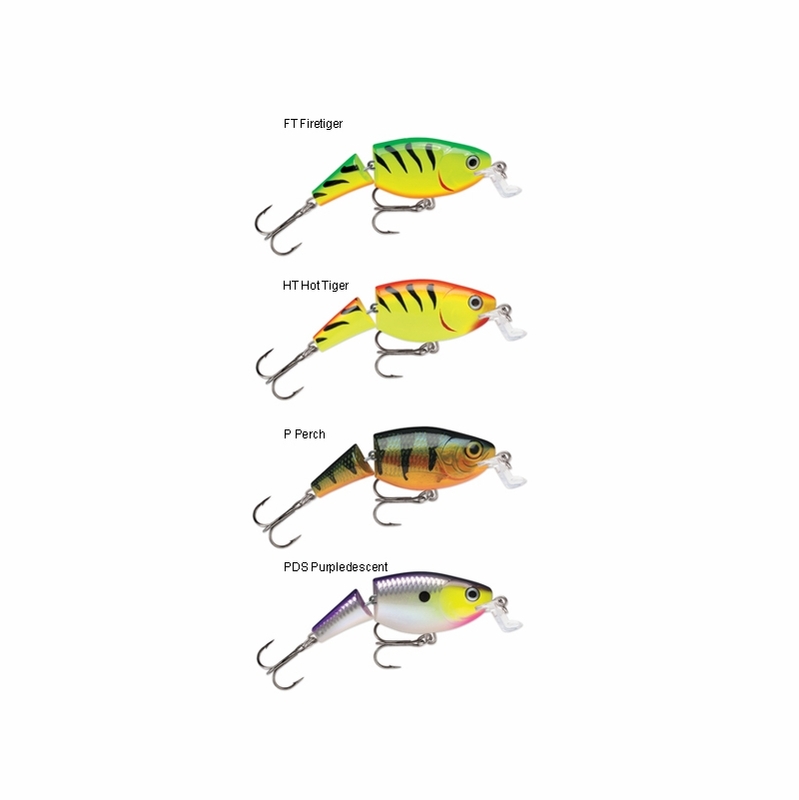 One of the best smallmouth topwater and shallow retrieve lures on the market. Just deadly on Smallmouth on the Connecticut River on the New Hampshire/Vermont border, the Delaware in Pennsy, and the Susky in Pennsy. goes right over the weeds i was casting in.